If you would like to download the Pancake Painter software, click here. To install the official release, see instructions below. To update the firmware for the original PancakeBot click here. 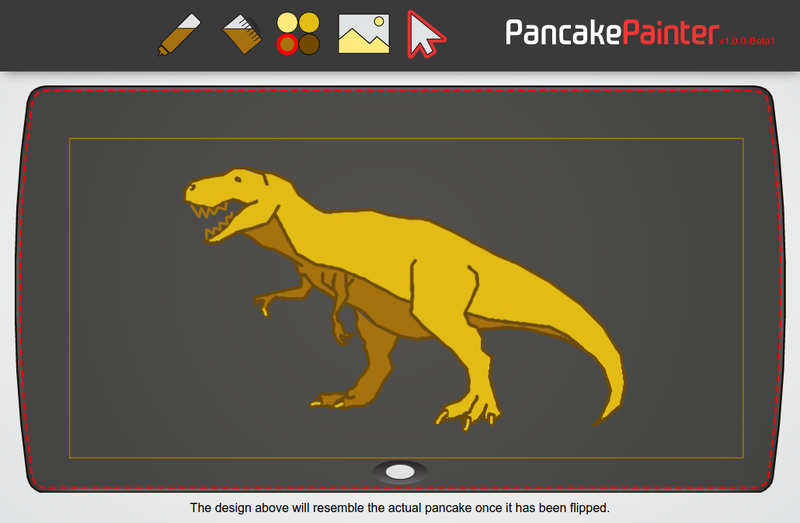 The super-simple drawing software for your PancakeBot. Check the latest release page for feature notes, known issues, and other details. Click single points to draw polygonal shapes, press right click or ESC/Enter to complete drawing. Click the center or near a line to select it. Once selected, click and drag the corner handles to scale the object, or the top rotation handle to rotate it. Click and drag points on the line to move them, shift-click to remove, or click an area on the line without any points to add a new point. Click and drag the selected object anywhere else to move it to a new position. To import an image to trace by hand, click the image import icon, select your image (in any standard web format, GIF, JPG, PNG), and it will be placed on the canvas. Once imported, you can move the image around and scale/rotate it as needed. When done, click outside the image, press ESC, or select the drawing tool. To adjust the image position, just click the image import button again. To choose a new image, press the Delete key when in edit mode then click import again. The fill tool is used to visually fill an area with a specific shade, which will then be used to create a zig-zag fill pattern used by the PancakeBot. Click inside an empty area enclosed on all sides by drawn lines to fill that space. Large or complex fills may take some time. Only drawn lines define what can be filled, not imported images or the drawable boundary. If the algorithm cannot fill what you've drawn, you will be notified with a reason why. If a complex fill ends up with triangles across it or doesn't look right, select and delete it, then adjust the surrounding shapes and try again. 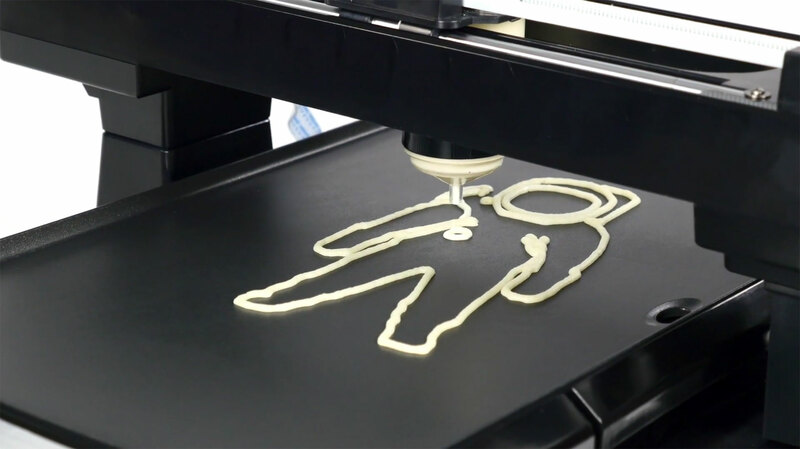 Your PancakeBot uses a readable text format for input called GCODE to create your pancake art. Unique to each drawing and configuration, they tell your bot how to move and when to extrude batter to make your drawing. To generate the file you need, use the menu "File > Export for printing..." and select a location to save the file. You can then place this on your bot's SD card and print at your leisure. Stuck on something? Submit an issue! Click the issues tab and see if someone is covering your question or problem, if not, ask away! Someone will be around to help soon. Know how to fix a problem? Or want to add a new feature?? Submit a pull request! Just fork the repo using the button on the github homepage, and this will give you your own version of PancakePainter. Make your change in a few commits to a new branch, then click the pull request button at the top! Talk about what changes you made and submit. A maintainer of the project will check your work, possibly ask you to fix a few more things, and then if all is well, your work will be merged into the project. It's that easy, really.